Wondering which iOS screenshot sizes to use when submitting an app to the App Store? 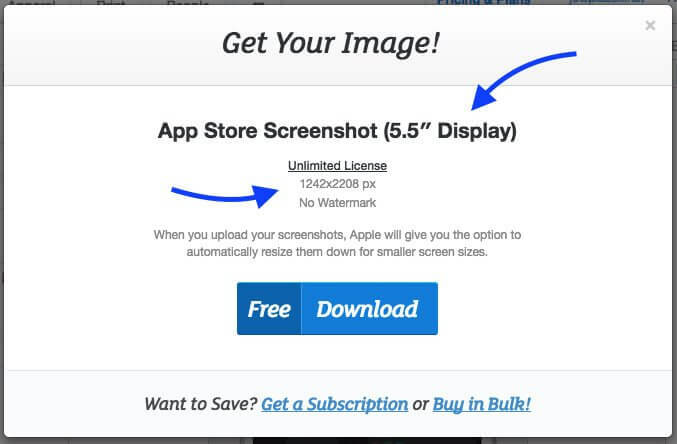 Learn about the App Store's Simplified Screenshot Submission Process! If there’s a constant in App Store’s history, that would be the requisite of submitting app store screenshots when uploading an app. It just makes sense to give users a quick snapshot of what were they about to download or purchase. And as technology evolved to allow for bigger and better screens, Apple started augmenting the size and the quality of the iPhone screens, and app developers had to upload new, bigger, different screenshots. The iPhone has had 5 different screen sizes through history. Wondering which are the different App Store Screenshot Sizes? Check the table below, and don’t forget to check out our latest iPhone X mockups and use cases. Make sure your apps look modern and fresh with Apple’s latest and greatest device. The App Store grew to be a highly competitive, vibrant, and constantly evolving digital marketplace. Apple started allowing app developers to add localized screenshots of their apps for developers to be able to show consumers snapshots in their mother language. Have you ever downloaded an app in which screenshots are in a language that you can’t read? I bet you haven’t. Then came App Store Search Ads which encouraged apps to pay for a spot at the very top of a search results page and enjoy the augmented visibility benefits. Having a great app is no longer enough, you have to market it the right way to harvest results. Optimizing your app’s metadata is a great way to help your app succeed. iOS screenshots play a major role in an app’s metadata, iOS screenshot sizes can be a confusing subject, which is why we made it the focus of this post, read along to learn more about increasing your conversion rate with screenshots. Is Your App Ready For Submission? Assuming you upload 5 screenshots for each iPhone device, you would need to take 5 screenshots on 4 different devices (3.5″, 4″, 4.7″ and 5.5″). That’s 20 images. Is your available in different languages? If so, the amount of images you would need to upload could increase to a 100 or even more! Just think about the time that it would take to add text to each image, it’s just too much. Wouldn’t it make sense to spend that amount of time and effort on improving your app? Definitely! 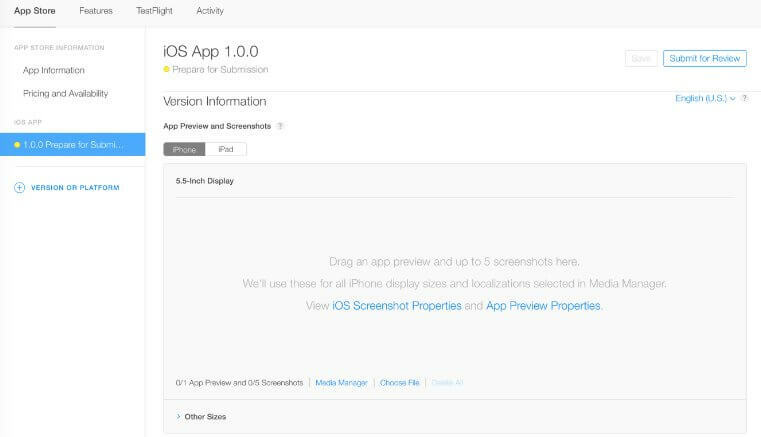 On Apple’s Worldwide Developers Conference of 2016, great news were given to the app development world with the Simplified Screenshot Submission Process. With simplified screenshots, Apple allows app developers to generate screenshots for every iPhone version by simply uploading a 5.5″ screenshot asset. Their platform then downsizes this 5.5″ (iPhone 7 Plus) screenshot to 4.7″, 4″ and 3.5″ to fit every device in the Apple’s iPhone family. Best of all, a single checkbox does the job! Really, when uploading a 5.5″ screenshot image that meets Apple’s standards, that’s all you need to do. Tip: screenshots generated with Placeit meet the requisites. Tip: Apple hasn’t released information about submitting apps designed for the iPhone X to the App Store. Will update as soon as more information is available. Step 2. Tick “Use 5.5-Inch Display”. Step 3. Click on “Other Sizes” to see your 5 original screenshots scaled to fit perfectly on smaller devices. That’s it! So thank you Apple for the simplified screenshot submission process. By creating your app store screenshots with Placeit you get a PNG or JPEG file that meets Apple’s requirements and also looks great! 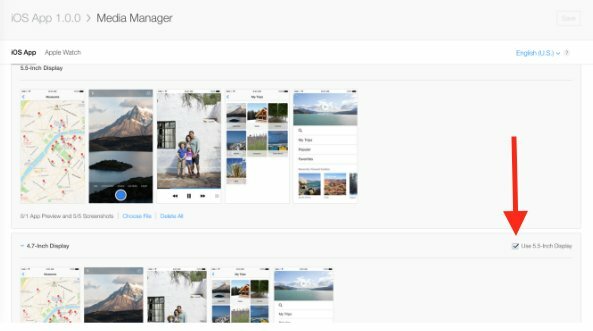 Avoid annoying error messages like: “The dimensions of one or more screenshots are wrong.” by using Placeit’s App Store Screenshot Generator to create app store screenshots with the correct iOS screenshot sizes. Remember, if your app looks and behaves the same across device sizes and localizations, use the highest resolution screenshot; this set will scale appropriately for other device sizes when viewed on the App Store in each localization available in iTunes Connect. Tip: We also now have iPad App Store Screenshots and iPhone X Mockups, check them out here! One set of screenshots per device family is the way to go! Work smarter, not harder. Showing real devices on screenshots boosts downloads since users can picture themselves using your app better. Another advantage of using an iPhone frame on your screenshots is that when it gets downscaled for smaller devices it looks great. If you will be uploading individual screenshots, use the Transporter XML Feed for ultimate results. One last tip – Placeit has an unlimited subscription that gives you access to every digital mockup including the app store screenshot templates. You don’t have to pick and choose which mockups you want to download, now you can experiment and try them all out until you find the perfect one for your app! 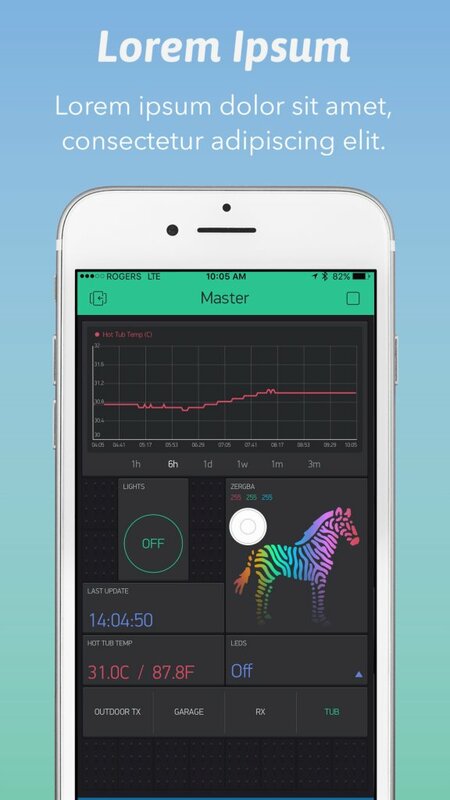 READY TO MAKE APP STORE SCREENSHOTS THAT WORK? 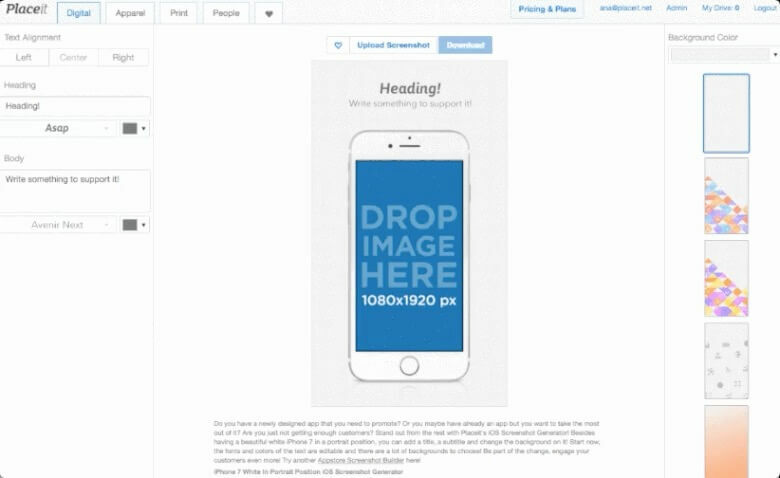 Learn how to create awesome iOS Screenshots with Placeit's App Store Screenshot Generator! Make your own right now, the results will amaze you.